The dam was constructed to withstand 300mm of rainfall per day (a phenomenon occurring once every 1000 years), however in August 1975, resulting from Typhoon Nina, the province experienced 1060mm of rainfall in 24 hours (annually the area averages 800mm) . Nina had destroyed much of the communications network in the area and requests to open the dam did not reach the engineers based there. Smaller dams upstream began to break resulting in water at the Banqiao reaching 0.3m higher than the wave protection wall. 78,800 tons of water per second burst from Banqiao, the total water released from the failure of all 62 dams was 15.783 billion tons.The surge of water resulted in waves 10km wide and 7m high traveling at 50kmph, destroying a stretch of land 55km long by 15km wide, and creating lakes up to 12,000 square kilometers. 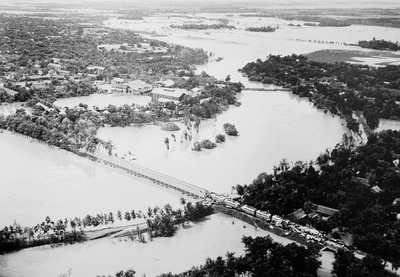 Evacuation orders could not be delivered in time due to communications failures.Official estimates from China indicate approximately 26,000 people died as a result of the initial flood with up to 145,000 succumbing to subsequent epidemic and famine. 11,000,000 people were affected by the disaster. The film Dam999 was based loosely on the event. 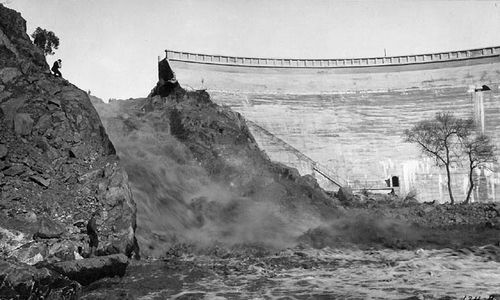 Construction of the Banqiao dam began in April 1951 on the Ru River with the help of Soviet consultants as part of a project to control flooding and electrical power generation. The construction was a response to severe flooding in the Huai River Basin in 1949 and 1950. 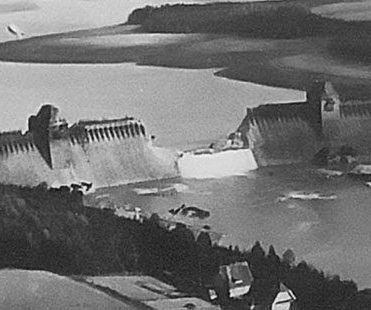 The dam was completed in June 1952. Because of the absence of hydrology data, the design standard was lower than usual. 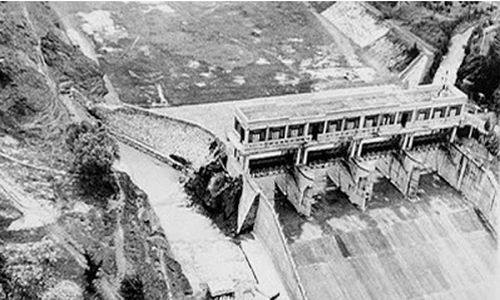 After the 1954 Huai River great flood, the upstream reservoirs including Banqiao were extended, constructed and consolidated. Banqiao Dam was increased in height by three meters. The dam crest level was 116.34 meters above sea level, and the crest level of the wave protection wall was 117.64 meters above sea level. The total capacity of the reservoir was 492 million m³ (398,000-acre feet), with 375 million m³ (304,000-acre feet) reserved for flood storage. The dam was made of clay and was 24.5 meters high. The maximum discharge of the reservoir was 1742 m³/s. Chen Xing (陈惺), one of China's foremost hydrologists, was involved in the design of the dam. He was also a vocal critic of the government dam building policy, which involved many dams in the basin. He had recommended 12 sluice gates of the Banqiao Dam, but this was criticized as being too conservative, and the number was reduced to five. 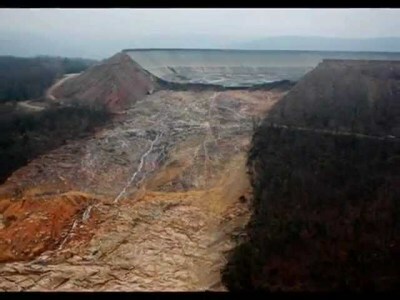 Other dams in the project, including the Shimantan Dam, had a similar reduction of safety features and Chen was removed from the project. In 1961, after problems with the water system were revealed, he was brought back to help. Chen continued to be an outspoken critic of the system and was again removed from the project.